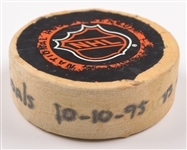 An impressive 27 hat tricks have been scored – a franchise record - by Brett Hull during his time with St Louis, with 33 accrued throughout his amazing HOF career. 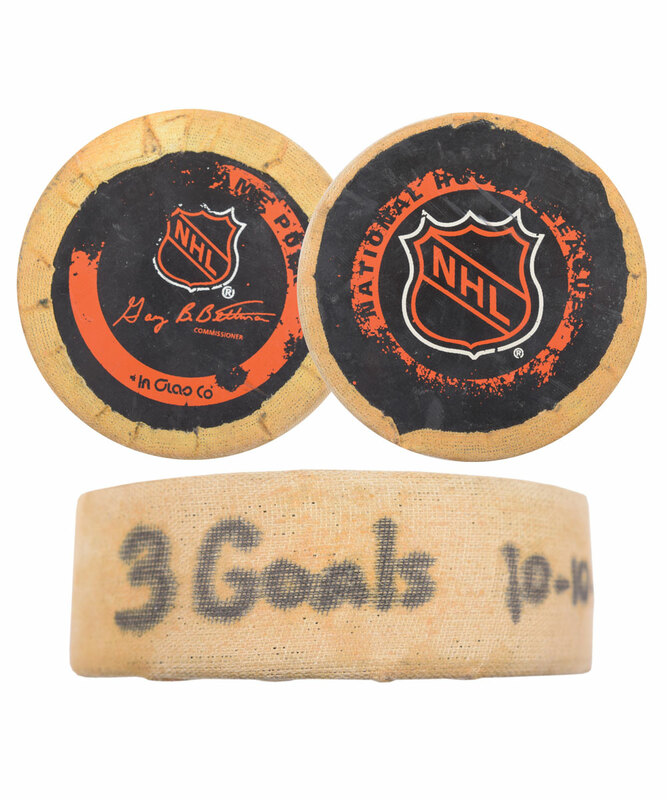 Hailing from his 24th career hat trick, which was actually a 4-goal game, we have the puck The Golden Brett used to score his third goal of the match. 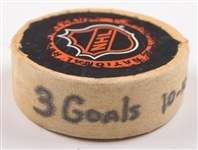 Occurring in an Oct 10th contest in 1995 against Edmonton, the goal would serve as the 445th of Hull’s career. 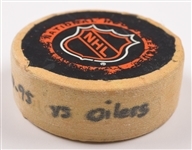 The official InGlasCo puck has tape wrapped around the side, with the handwritten particulars including “3 Goals 10-10-95 vs Oilers”. A signed LOA from Brett Hull will accompany. The InGlasCo logos over each side show heavy wear, with some darkening/yellowing to the affixed tape. Hull would score 83 points with the Blues in 1995-96, the highest total he would achieve throughout his final 10 NHL seasons.